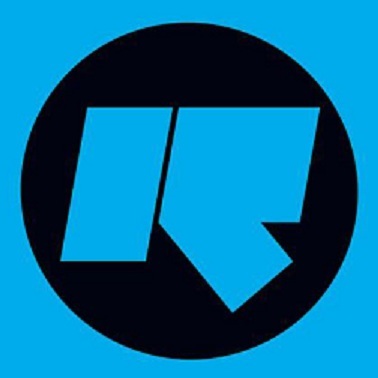 The Clairvoyants put together my favorite show on Rinse.fm – I’ve put together a lengthy interview with one of the members. Have fun learning about these dedicated fellows, and jump over to RA for their May 2012 “Top Ten” chart..
DD The Clairvoyants is a 3 piece, dj/producer group, which of you will be chatting with Disco Droppings today? DD Every time I’ve caught your Rinse.fm show I get sucked in. You may have seen my shoutouts to the station while your on the air :] The pulsing beats and dark, throbbing atmosphere are something you can lose yourself in. Do you strive for these kinds of feelings and reactions to your show? SBR Most definitely, compiling our sets is like a doing jig-saw puzzle and the tracks are the pieces so they have to fit together in tandem. We try to look at the bigger picture we want to create, then select the tracks needed to create it, so each track we play whether old or new has a purpose and hopefully when compiled and mixed has the desired effect on our listeners. It also liberates us from the monotony of being restricted to only playing the most recent top 20 hits week in week out. It’s definitely aimed at those who like to listen and are intrigued by sound. Sometimes it takes a couple of tracks to build up momentum but the aim is to have people fully immersed and lost in the sound for the duration of the show. A good indicator is whether you can remember the track played before last, try it… if you can’t then you’ve been sucked in and are under our control ha! There’s a big screen on the studio wall with a live twitter feed running, which enables us to see people’s comments as they come through so thanks to everyone including yourself who messages in during the show! DD I really enjoyed Roberto‘s guest mix from 3.25.12. How do you go about choosing guest dj/producers to showcase a mix? Are there certain labels who have been represented significantly through multiple artist mixes? SBR The Perc Trax label has had a big input in the guests aspect of the show. We’ve had Perc (Perc Trax label boss) up as a guest on more than one occasion, Truss who has released music on the label has guested on the show many times and we’ve also had Sigha as a guest who come to think of it has released on there too! Roberto whose mix you mentioned is affiliated to Affin as is Chris Page, who is due to guest on the show and Joachim Spieth (Affin label owner) has agreed to do a mix for us in the near future. We’ve also had representatives of both the Hypercolour and EarToGround labels as guests on the show. The primary criterion for our guests has been that they’ve been artists we feel and who bring something different but complimentary to the show. With the show recently being extended by an hour we hope to utilize that time to feature as many guests as possible who meet that criteria and you’ll be pleased to know Roberto has agreed to come back again! DD What’s it like at the Rinse.fm station? I imagine it constantly buzzing with activity..
SBR The office is situated by the studio, so in the day time there’s always something going on, different artists passing by etc. They also have the Rinse academy taking place where 14-19 year olds can take crash courses in music production and radio presenting and obviously you have the DJs doing their shows. Things are more tranquil by the time we go there to do our show, at least until we start playing anyway! SBR Thanks to all at Disco Droppings on behalf of The Clairvoyants for taking time out to check out the show and getting in touch with us. Respect to the Rinse FM management team and a special mention to all the people who appreciate and support what we do!